From general milling of standard metals to milling complex deep pockets for producing aerospace components out of modern metal materials, Sandvik’s CoroMill 390 is a versatile cutting tool with broad functionality. Sandvik’s CoroMill 390 can be used for general milling and complex projects with challenging materials. Sandvik’s “390” cutter family can be used for myriad applications by integrating a large, versatile program, including versions for shoulder milling and long-edge milling. Cutter inserts generate a good, quality 90-degree shoulder and are ideal for ramping and helical interpolation. For instance, to produce precise contours without steps in repeated shoulder milling operations, the company offers close-tolerance inserts and an exact insert position. The smooth cutting action of CoroMill 390 limits radial cutting forces, which minimizes bending and generates good wall perpendicularity. CoroMill 390 insert size 07. The CoroMill 390 assortment of inserts includes cutters with size 07 inserts in dimensions specifically designed for key slots. With a tool diameter that is 0.3 mm (0.012 in.) smaller than the slot width, a suitable amount of stock is left for the subsequent finishing operations. In another example, using helical interpolation and linear ramping to create holes from a solid workpiece requires a strong insert face geometry. 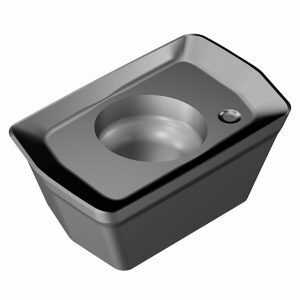 The CoroMill 390 inserts are developed to withstand the stress caused by steep ramping or demanding interpolation, giving a low-vibration process with even tool life. Plunge milling using the CoroMill 390 produces less stress on your machine spindle because of its vibration damping attributes. Because of this, it is suitable for unstable machines, deep slots, difficult-to-machine areas, and high-radial engagements such as corners. The CoroMill 390 can be used for many applications because of its large, versatile tool program. CoroMill 390 is made with Sandvik’s robust steel milling grade GC1130, which is made with the Zertivo PVD coating process that reliably performs even in unstable or challenging conditions such as disparate temperature variations. The Zertivo process includes a complex set of steps, including pumping, heating, etching, coating, and cooling. Process parameters such as temperature, gas flow, and pressure are crucial to the final tool performance. Each grade is produced with the exact right conditions for that specific grade. The result is improved adhesion between substrate and coating as well as optimized cutting-edge integrity. The result is great edge-line security and reduced flaking. This makes the insert resistant to chipping. In addition, the tool’s high-Cr (Chromium) content, in its fine-grain substrate, is optimized to withstand edge-line chipping and cracks arising from difficult machining and demanding conditions, such as temperature variations. Some of the tools incorporate the company’s Silent Tools™ technology. Sandvik Coromant’s endmill for small diameters, for instance, available with size 07 inserts, is a versatile cutter ideal for shoulder milling, deep shoulder milling, edging, linear and helical ramping, plunge milling, slot milling and face milling. Insert sizes 07 and 11 are available with Sandvik’s Silent Tools™ damping technology. 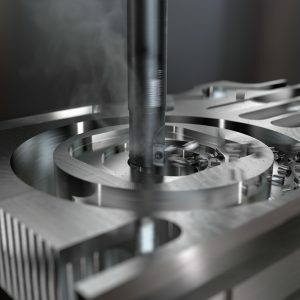 The upgraded Silent Tools dampening technology will allow machine shops to machine deep pockets for products such as titanium aerospace frame parts. Silent Tools™ CoroMill® 390 cutters. 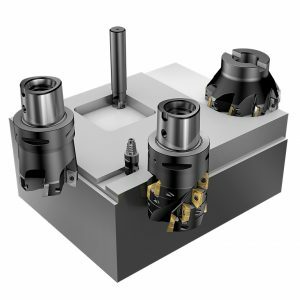 Silent Tools provide light-cutting insert geometries and high-performance grades that deliver low-cutting forces and vibration-free machining for secure, cost-effective milling. The tool holders are designed to minimize vibrations through a dampener inside the tool body. The CoroMill 390 Silent Tools can be ordered in diameters from 20 to 32 mm. It is available for both the new insert size 07, as well as insert size 11, with options for either cylindrical shank or Coromant Capto coupling. Sandvik Coromant calls the CoroMill 390 a “go-to cutter.” As evidence of this, Sandvik has detailed some typical challenges and its solutions. 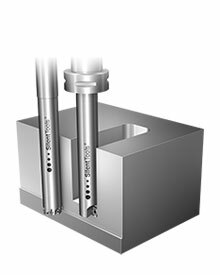 For instance, pocket milling can be challenging to produce efficient and secure cavity opening. Using helical interpolation and linear ramping to create holes from a solid work piece requires strong insert face geometry. CoroMill 390 inserts are developed to withstand the stress caused by steep ramping or demanding interpolation, providing a low-vibration process with even tool life. Challenge: Chip evacuation and vibration. Solution: Insert geometries designed for ideal chip formation and evacuation. When milling with large engagements, vibration often causes rapid tool wear. The light cutting inserts of CoroMill 390, combined with cutters with optimized differential pitch, offer a low-vibration milling process. Challenge: Metal removal rate and surface finish. Solution: Durable CoroMill 390 inserts are capable of high cutting parameters. -L geometries designed for milling with low cutting forces are perfect for facing surfaces with a shiny finish and close tolerances. Order online or for more information on CoroMill 390, contact a Steiner Metalworking sales representative at (800) 323-TOOL.